In the era of stretching a paycheck, generic brands have moved from the fringes to the mainstream. Every day people consider the value of purchasing a ‘non-brand’ when visiting a supermarket, or big box retailer like Costco, Target or Wal-Mart. What people might find surprising (it was to me) is that a generic brand does not necessarily mean the product will be less expensive than the ‘name’ brand. Wasn’t the whole idea behind generic brands hatched as a way for consumers to pay less while the store could keep a greater share of the profit? An article in Tuesday’s Wall Street Journal http://on.wsj.com/AbOAMK offered some interesting thoughts regarding store brands. It seems at times people actually prefer the store brand to the more established name brand. And they are even willing to pay more for the store brand. What the heck is going on here? When I shop and consider a store or generic brand versus an established brand I go through the same checklist that I’m sure is the same as many people. If I decide to buy generic or store brand paper towels my expectations are lowered a bit (thinner ply and not as absorbent) but will only buy if the price is considerably lower. 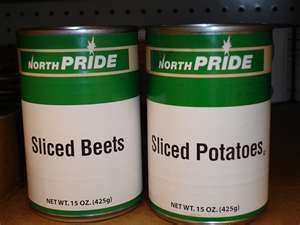 Sometimes it is lower, but sometimes the name brand is having a special and the value is better. It rarely (if ever) enters my thinking that I would prefer the ‘private label (fancy name for store or generic) brand. 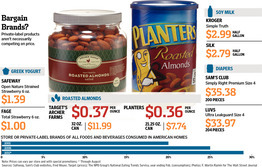 ‘Private-label products still cost an average of 29% less than their nationally branded counterparts. But they are rising faster in price, at a rate of 5.3% last year compared with the industry average of 1.9%, and can sometimes be the most expensive product in a category, according to market-research firm Symphony IRI. That Target has been able to create a store brand that costs more than the established brand impressed me a great deal. Sounds like someone who is not sure but is hoping he’s right. Is this a wake-up call for traditional established brands? This entry was posted in Advertising, Brand Advertising, Customer Experiences, Living in the World Today, Marketing stuff and tagged Brands vs. Generics, Costco, Established brands, Generic Brands, Price of brands, Target, Wal-mart. Bookmark the permalink.